Can it FIT 15.6 inch Laptop?----- UOOBAG BUSINESS LAPTOP BACKPACK fits to most 14-15.6 inch laptops. It also suits some types of 17 inch laptops. How About the Material?-----210D NYLON FABRIC is water-repellent , durable and easy to clean; and high quality of POLYSTER LINING makes this backpack more high-end. Is Your BACKPACK SAFE?------It is professional ANTI-THEFT BACKPACK * 2-way HIGH-QUALITY anti-theft DUAL-ZIPPERS make your stuff more safer * Uoobag LAPTOP BACKPACK help you achieve it. Your stuff always leave in a MESS?---- 1 anti-theft LAPTOP pocket+ 1 main compartment+ 1 ipad pocket+ 2 side zippered BOTTLE POCKETS+ Several Combinatorial compartment for storing pens,cell phone,notebook and keys. GUARANTEES on QUALITY---- 40kgs / 88lb LOADING+ Padded Back Cushion+ \"S\" Shaped Thicken Shoulder Straps+ High Quality Lining---any quality problem, please contact us directly. 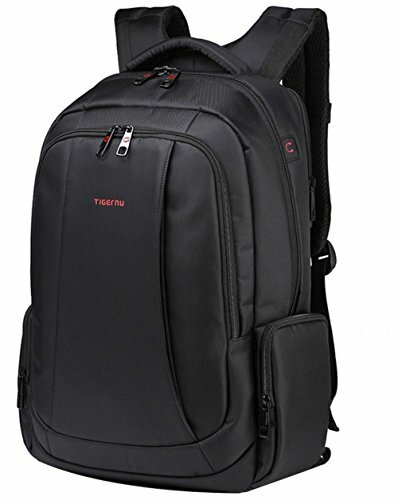 <b>Decription:</b> <br> <br>The laptop backpack adopts durable nylon fabric and fits most 14 15.6 inch laptop. <br>The dimension of laptop compartment is 11(L)*1.57(W)*16.5 (H) Inch /28*4*42CM. 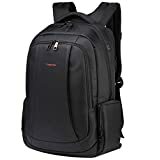 <br> <br>---<b>DURABLE MATERIAL</b>:Made of imported nylon fabric and the high quality of polyester lining makes backpack more <b>COMFORTABLE and EXQUISITE.</b> <br>---<b>SLIM AND LIGHTWEIGHT</b>: Perfect for Business,work and travel use. <br>---<b>UNIQUE ANTI-THEFT FUNCTION</b>:Adopts two-way anti-theft zipper; a big and a small pocket in the back of our backpack make bag more safe. <br>---<b>HIGH-CAPACITY</b>:Our this Kopack backpack can put 3 thin suits,ipad,15.6 inch laptop,glasses,unbrella,notebook and so on. The capacity of our backpack go beyond your imagination. <br>---<b>ERGONOMICALLY DESIGNED</b>? "s" Shaped shoulder straps,stick to your body closely,breathable and comfortable. <br> <br><b>We are very honored that you choose our business laptop backpack.we focuses on the quality and services.Your satisfaction is our service purpose!</b> <br>Believed our this slim laptop backpack can meet your different demands.Choose our product,make you satisfied,hoping our products bring you convenience in your life!<br><b>Notes:</b> <br> <br>1.The actual color of the backpack maybe have little different from the picture due to the different screen of display or reflecting light when shooting. 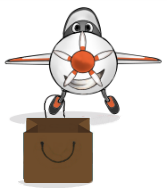 <br>2.1-2 cm error of measuring is a reasonable range due to different measurement methods. <br>3. This series of waterproof laptop backpack, can only be used in Drizzle days, heavy rain can not be used, easy to be wet. Mohon maaf, produk Uoobag KT-01 Slim Business Laptop Backpack Anti-theft Travel Bag Up To 15.6 Black sementara ini sedang habis.